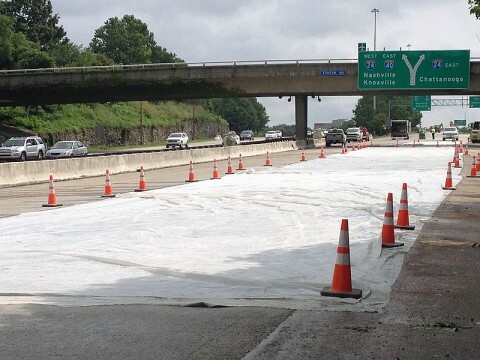 Nashville, TN – The Tennessee Department of Transportation (TDOT) will halt all lane closure activity on interstates and state highways for the Labor Day holiday travel period. Construction crews will stop all lane closure activity beginning at noon on Friday, August 31st, 2018 through 6:00am on Tuesday, September 4th. This will provide maximum roadway capacity for motorists traveling during the busy Labor Day holiday. While lane closure activity will be stopped, workers will still be on site in many construction zones, and drivers are urged to obey posted speed limits. Drivers convicted of speeding in work zones where workers are present face a fine of $250.00 to $500.00, plus court fees and possible increased insurance premiums. Motorists are encouraged to use caution and obey reduced speed limits in all TDOT work zones, regardless of lane closure activity. Information in this report is provided to the Department of Transportation by the contractors. [320left]Most work is weather dependent and subject to change due to inclement weather. For more information on this or any other TDOT road construction project or to view travel conditions in this area visit the TDOT SmartWay Information System web site ( http://www.tn.gov/tdot/tdotsmartway/ ).